IE Exponential Learning is a unit within Spain's IE University which designs its courses with the resources and faculty support of all five schools of the IE ecosystem. IE focuses on providing tools for self-discovery and professional growth at every career stage, helping self-motivated individuals to build the skills necessary to adapt and improve performance in an ever-evolving global landscape. IE is one of the world's top higher education institutions. A pioneer in education, it is composed of five schools: IE Business School, IE Law School, IE School of Architecture & Design, IE School of International Relations, IE School of Human Science and Technology. Its programmes have met with worldwide acclaim, featuring highly in both the FT and The Economist business and law school rankings, and cementing the reputation of IE as a global leader in higher education. 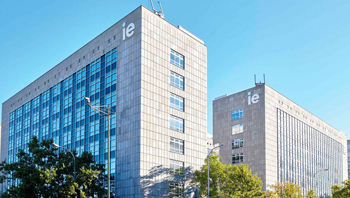 With more than 128 nationalities represented on our central Madrid campus as well as a global network of over 60,000 alumni, the IE Experience is a truly international one. Members of the IE community are more than just alumni; they share a way of life. Members of our community hold firm ethical values and recognise their responsibility to the environment in which they operate, as well as to the wider community. code in R and Python starting from zero. acquire, clean, structure and visualize data from different sources to answer complex business questions. 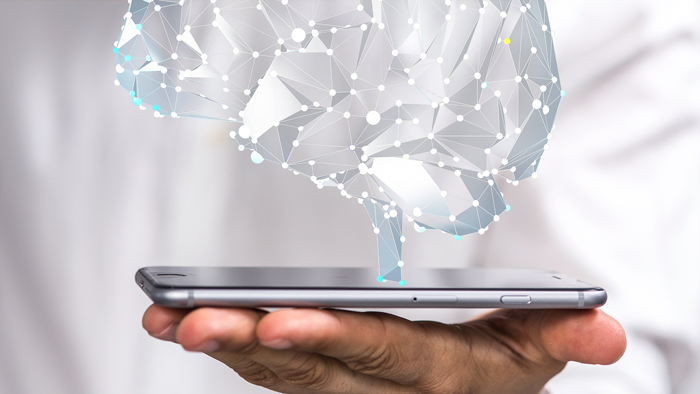 find patterns, use machine learning and other analytical tools that you will be able to implement in various fields such as marketing, product development, project management, or general business administration. The hands-on learning method aims not only to foster your technical skills but also to teach you how to give engaging and insightful presentations, enabling you to maximize the impact of your data analysis. The program is applicable for professionals having background in field of Finance, Economics, Marketing, Engineering, Sciences, Technology and Math. Prospective candidates must hold Bachelor’s degree from an accredited university, average work experience between 2 to 5 years, strong knowledge in Math and Stats and analytical mindset. Work closely with industry leaders and experts to capstone your project. Learning by doing experience – work on real life data sets provided by IE’s partners Indra, Amadeus, Nielsen and Iberia. I am Gergana from Bulgaria, and my journey has taken me from journalism in the U.S. to health policy work in Denmark and now Spain, a dynamic place for healthpreneurs. The skills imparted in the bootcamp – to learn how to handle, make sense of, and extract insights from data – are giving me a solid foundation in a field in which I was a complete novice just two months ago. The passion and dedication of the professors has been contagious and motivated me to continue this learning journey in these subjects after the bootcamp is over. My name is Jorge Zeller, and I have worked in finance for the past 5 to 6 years. I have just finished my International MBA right here at IE, which helped me discover my passion for everything related to Data Science and Business Analytics via their extensive electives offering. What is the program like? Well, I am happy to say it is intense. Very intense (which is a great thing). We take around 9+ hours of class and it goes by in a blur. Now I can happily say that I have found a field I have become particularly fond of in the 3 weeks that have gone by. The Data Science Bootcamp has allowed me a great opportunity to learn (and EXTENSIVELY practice) techniques in around 3 months that I thought would have required me to sign up for another master’s degree. Hallo! I’m Sven Schulte. I’m 29 years-old and from Germany. I studied finance in Germany and international business in the US. I’m the head of OEM sales at our family company. I liked the group work with my team on the final project. We made some good progress, and the sessions with our mentor were really helpful. The Amadeus Lunch & Learn session gave us some first-hand insights on the reality of big data at large corporations with many parallel IT systems and complex architecture. The statistics part in combination with more advanced programming is really tough for me as I didn’t have any programming experience beforehand and have worked sometime after joining the Bootcamp. The week is long and it takes effort to rehearse the material in the evening after coming home at 8 or 9. But it’s also great to look back at how much I have learned during the last weeks. My name is Vushrut Solanki. I am a metallurgist, who spent all the professional years in the field of Project Management, the field of data analytics had intrigued my interest for a long time.